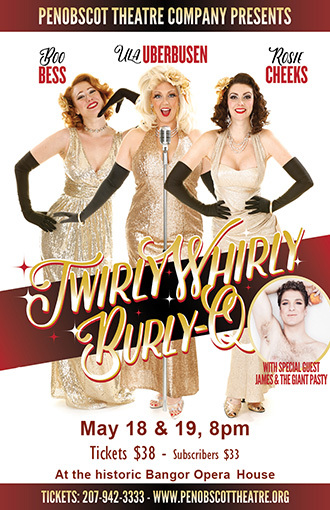 Twirly Whirly Burly-Q will deliver a burlesque extravaganza that combines the nostalgia of vintage burlesque and the excitement of avant-garde theater. Celebrate sensuality, sexuality, the female form and good old-fashioned girl-power! The touring troupe includes Üla Überbusen, who captivated the theatre’s audience on New Year’s Eve 2016, and fellow award-winning performers Rosie Cheeks, Boo Bess, and James and the Giant Pasty. Adult tickets are $33 for subscribers and $38 for the general public. Student tickets are $20. The subscriber discount is available only by calling or visiting the box office.